Given the fact that Sherlock Holmes is one of best known fictional character not only in Britain where he is of course part of the national heritage but worldwide, it is not astonishing that there are whole libraries filled with all sort of books about the only consulting detective and probably the most famous detective of all times. So you have to look very carefully on any new one, if you don’t want to be disappointed. 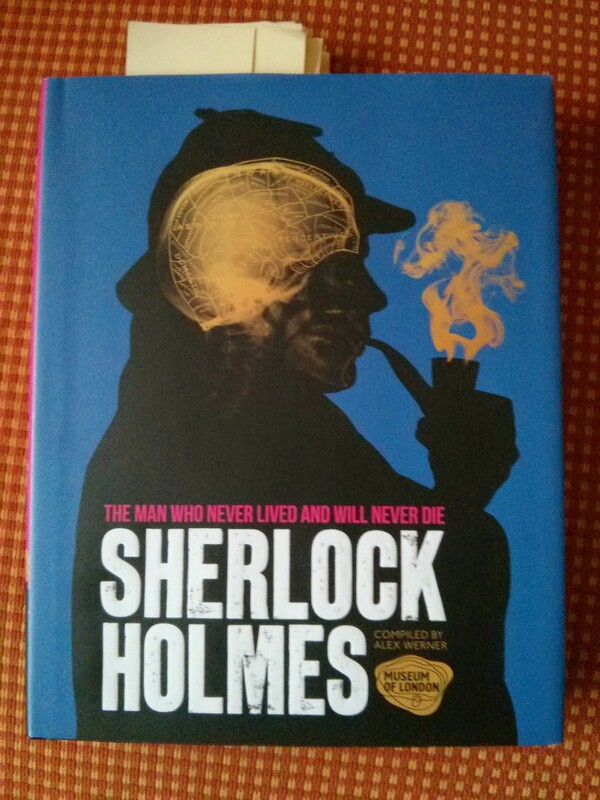 “The man who never lived and who will never die” isn’t just another book about Sherlock Holmes. Although it is accompanying the exhibition in the Museum of London which is still open till April 12th 2015, it totally stands on its own feet. Alex Werner who compiled the book, throws a very different light on Arthur Conan Doyle’s figure, setting him in his surroundings while explaing that he only can exist within London. The city as some critics say is besides Sherlock Holmes and Dr. John Watson the third main figure in all of the original stories. It has often been claimes that there are three principal characters in the Holmes and Watson stories: the great detective, the good doctor and the ever-present metropolis, and up to a point (…) this is true. (…) Yet London was not where Holmes started out, for his background was rural and gentrified. And so the book pays tribute to that fact by showing lots of historic pictures of London while explaining the historical background not only of the original Conan canon but of all adaptions throughout the years – no matter if you are watching a film situated in Victorian or contemporary London. Aww. What a lovely thing to read. Thx!